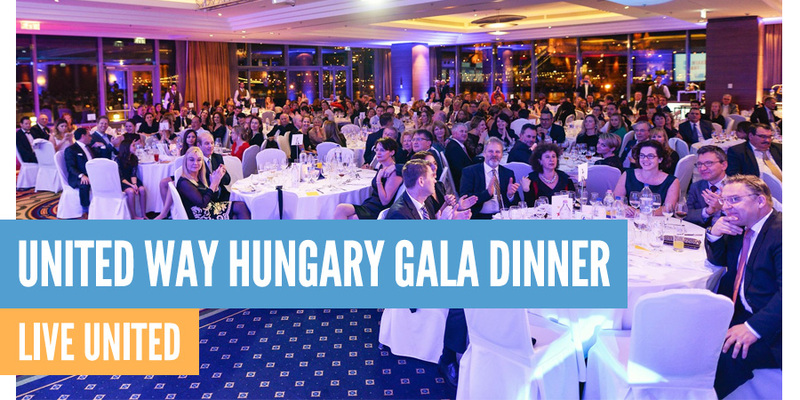 United Way Hungary traditionally hosts a gala event towards the end of every year, to thank our donors for their generosity and give an overview of the areas we plan to focus on to advance the common good in the years to come. Funds raised during this event will be spent on programs helping children and youth – especially those from the disadvantaged families, often living at risk – to catch up and to learn how to support themselves through improving their reading, comprehension, and financial literacy skills, expanding their knowledge of entrepreneurship, as well as conscious career planning. Our guests at the 35 tables will be visionary and influential corporate and civic leaders who demonstrate their personal philanthropic leadership through their actions. They are actively committed to finding solutions to problems and creating lasting changes in their communities. This year’s special guests dedicated themselves with all their heart and soul to support our READIT campaign and the cause of comprehensive reading. JOIN US TO HELP CHILDREN AND YOUTH TO HAVE A BETTER FUTURE! Should your company be interested in sponsoring opportunities please refer to our corporate proposal or contact Kincső Adriány, CEO via e-mail kincso.adriany@unitedway.hu or mobile +36-20-392-1500. If you would like to join our event individually, please click for registration!